A prenuptial agreement is a contract entered into by the parties before marriage. The purpose of such an agreement is to specify the separate property that each party is bringing into the marriage and to make a plan for the retention of the separate property in the event of divorce or separation. The agreement can also plan for the division of any type of property acquired during the marriage. If a couple wants to separate, a valid separation agreement is essential, or they will not be legally separated. It is a legal contract that specifies terms such as who pays the bills, spousal support, division of marital property, child custody, child support, and visitation. Under legal separation, the spouses are still married. Separation vs. divorce can be beneficial for some parties for a variety of reasons including finances and religion. It’s important to consult a family divorce lawyer to find out which option is the best for you in your circumstances. Child custody issues revolve around who has legal custody and physical custody. The standard that the courts look to is what is “in the best interests of the child.” There is no presumption regarding which parent should have custody. Courts prefer that the parents resolve child custody issues on their own, but if they cannot, the court will get involved. As the issues surrounding child custody can get quite complex, each parent facing this issue should hire a qualified attorney to handle his or her case. Both parents are responsible for supporting their child until the age of 21. 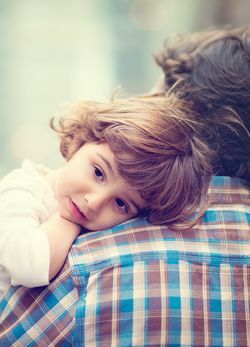 In the event of separation or divorce, the noncustodial parent pays child support to the custodial parent according to the parental gross income and number of children. There are other factors that the court can consider if the court feels it necessary. Child supportcan include monthly child support payments, payment for health insurance, payment for child care, and payment for uncovered health care expenses. Neglect of a child involves failure to exercise a minimum degree of care in providing the child with adequate food, clothing, shelter, or education. It can also result from abandonment or inadequate supervision of the child. Parents or guardians who have petitions served against them for child neglect need legal representation. An experienced attorney will present a defense for the parent or guardian, as well as request permanent or temporary custody of their child if the child has already been removed from the residence. Child abuse occurs when a person legally responsible for a child inflicts physical injury, creates a substantial risk of serious physical injury, or commits an act of sexual abuse against the child, or allows someone else to do these things to the child. A parent or guardian who is accused of child abuse needs to be represented by an experienced Nassau County family lawyer who will prepare a defense for the party. Adoption creates a legal relationship between parent and child. Once the adoption is final, the adoptive parent has all of the rights and responsibilities that a birth parent would have for that child. To begin the legal process of adoption, the adoptive parent(s) must file an adoption petition with the Court. It is highly recommended that adoptive parents hire an attorney to prepare the petition, as well as any necessary supporting paperwork, and to file the petition on behalf of the adoptive parents. 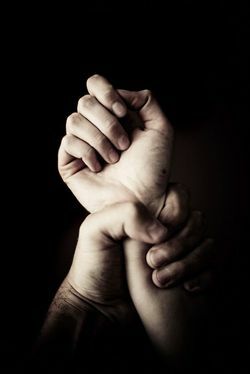 An order of protection, or a restraining order, is used to protect an individual from being harmed by another through acts of domestic violence. Men and women can file for orders of protection. There are two types of orders of protection: one allows for the perpetrator to still live in the residence of the abused under certain rules and conditions, and the other requires the perpetrator to stay away from the abused. Whether you are seeking an order of protection or contesting one, the services of an experienced attorney are essential.